Prototype: German Railroad, Inc. (DB AG) ICE 3 type 403.8 intermediate car, 2nd class. Built starting in 1999. 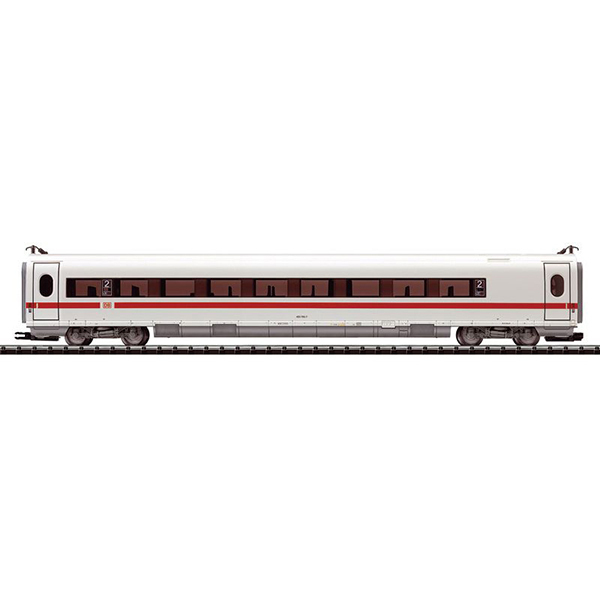 Use: High-speed InterCity Express scheduled service. Model: Era V. The car has built-in interior lighting. Continuous electric connections and special close couplings with a guide mechanism. Length over the couplings 279 mm / 11. The model of the ICE 3, item no. 22205, can be lengthened realistically with this model. The electrical connections on this car are only designed for this combination. An AC version of this model is available in the Marklin assortment under item no. 43744.